The debut collection from Freya Holloway is a powerful stream of consciousness. Her heart pours onto the page “like smoke forever gracing fingertips.” These borrowed lines from her poem, My Beautiful Illusion, speak volumes. Each page is a smoke of new emotion, inhaled. I thoroughly enjoyed reading her classical and modern styles converge through prose, free-verse, and haiku. Occasionally, I might have wished the prose to be broken-up into smaller stanzas, but I imagine it came to the author in such a way. Please, do yourself a favor and buy this book. 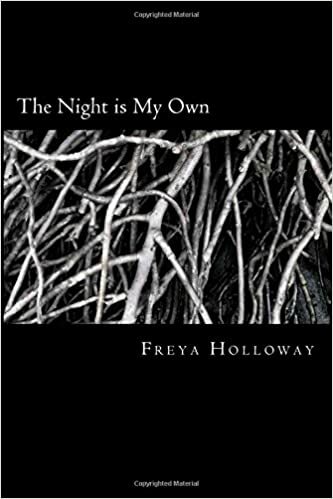 This entry was posted in book review, nonfiction and tagged book review, books, freya holloway, poetry. Bookmark the permalink. This entry was posted in collaboration, photography, poetry and tagged collaboration, freya holloway, glitch art, photography, poetry. Bookmark the permalink.